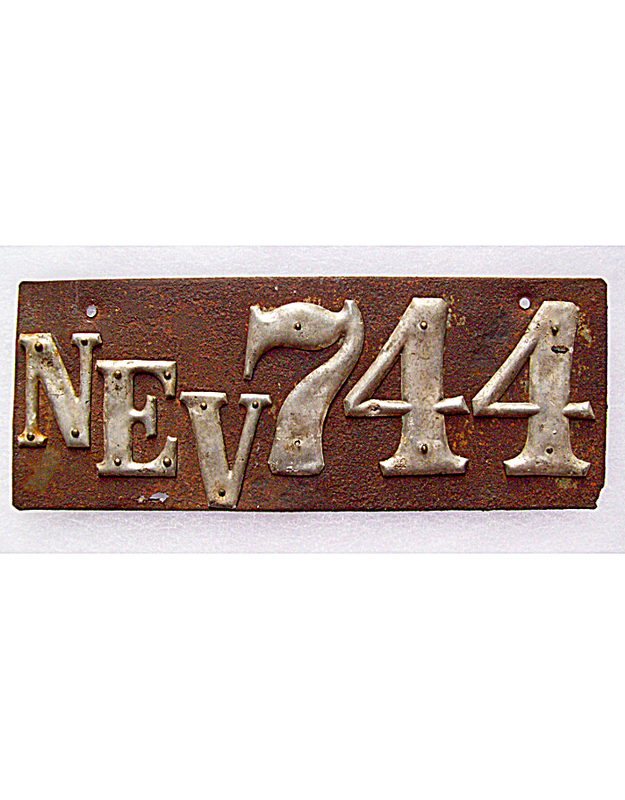 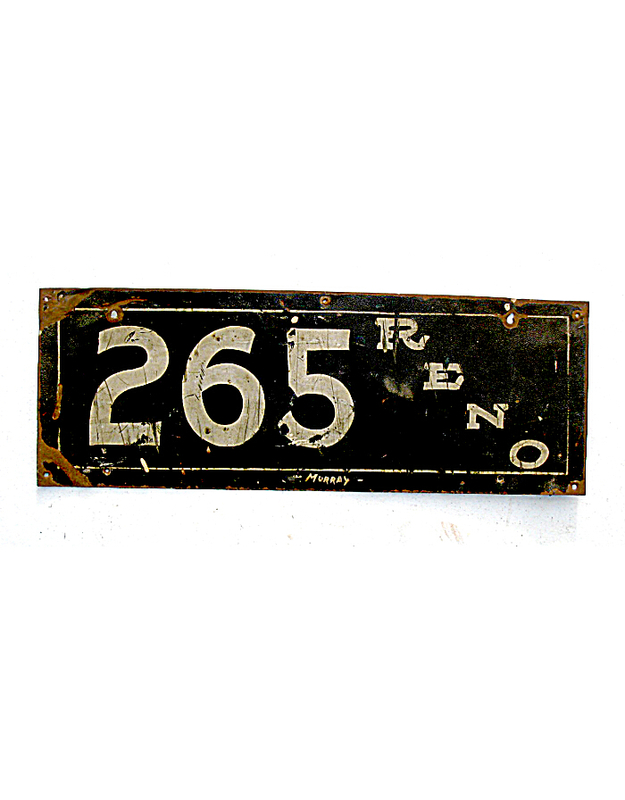 The city of Reno required automobile registration and display of numbers perhaps as early as 1906. 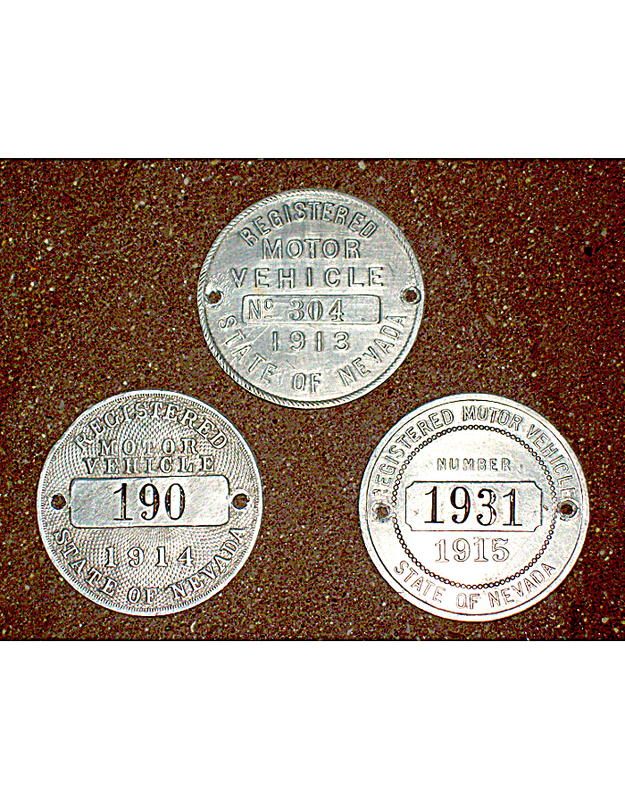 No other cities in Nevada are known to have had similar licensing laws in the pre-state era, so we can assume that Reno is unique. 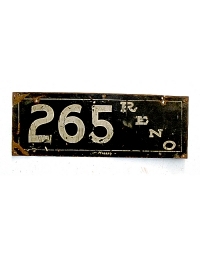 The Reno license shown here is one of three known and was hand-painted for thr auto owner by a professional sign painter. 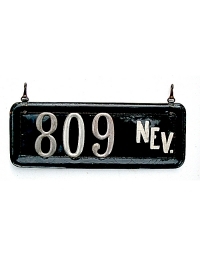 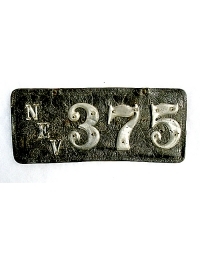 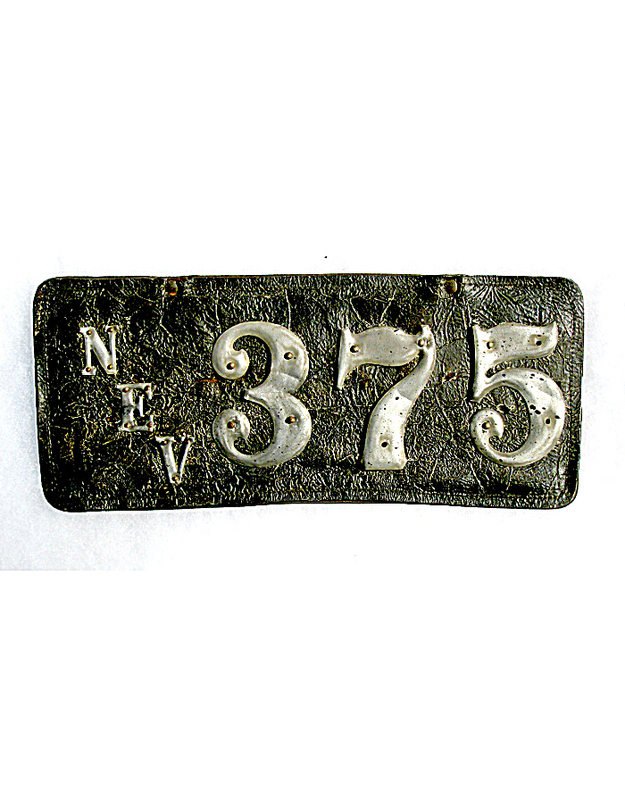 The State of Nevada issued circular aluminum registration discs to motorists between 1913 and 1915, and owners provided their own plates. 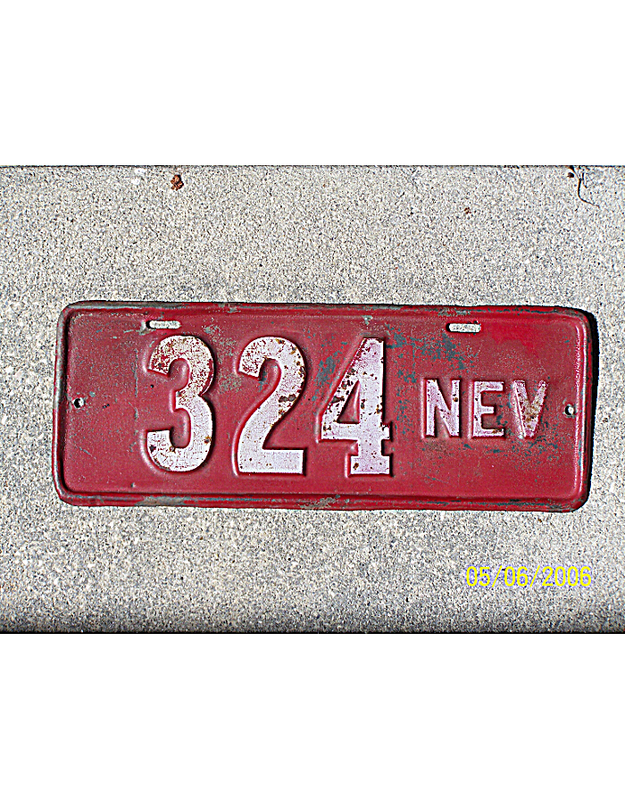 The discs were dated annually, and although yearly renewal of registrations was required, the license plate itself remained valid as long as it was continuously registered. 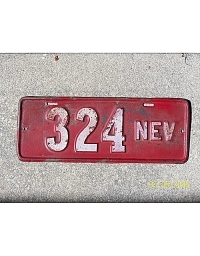 Apparently, the State of Nevada recommended that motorists purchase plates from a specific distributor in Carson City. 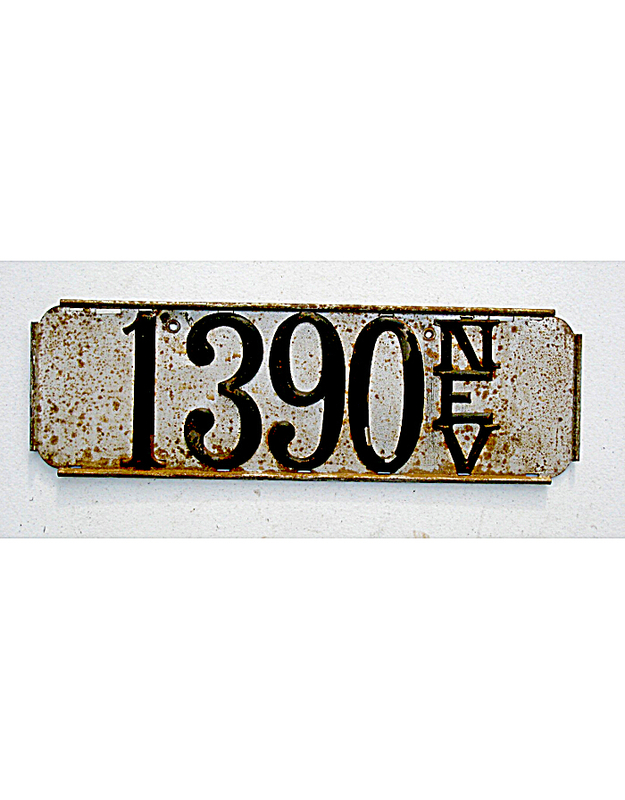 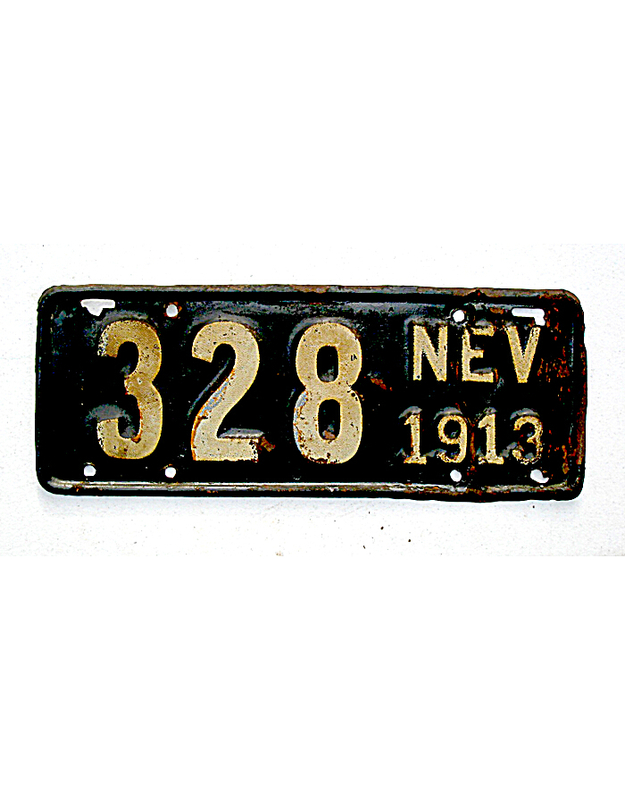 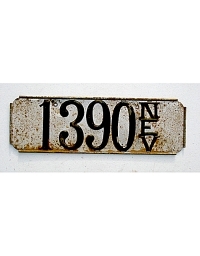 About half the known pre-states are embossed, painted metal plates dated “1913”. 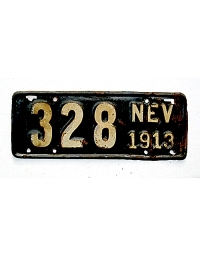 Another variation was an undated plate painted white on red, apparently from 1914. Motorists were not required to purchase these dated tags, however, and could use any materials of their choosing. 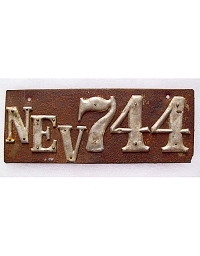 The initial letters NEV were required.